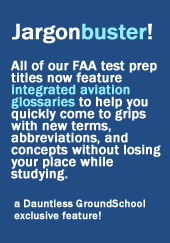 Our GroundSchool Sport Pilot FAA Knowledge Test Preparation materials are the best way for you to prepare for your Sport Pilot FAA written test. 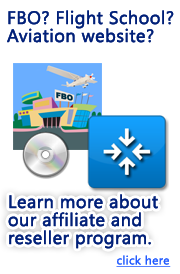 We feature regularly updated question banks of actual FAA questions, user experiences designed for fast, efficient study, all charts and figures that you need, and questions featuring detailed explanations by our editorial staff of professional pilots and flight instructors. Don't take our word for it, though - check out the PC versions free, from below and see for yourself. Thank you for giving GroundSchool a try! Sport pilot enthusiasts may find information on the Regulatory Support Division Web site at www.faa.gov in the Light Sport Aviation Branch (AFS-610) area. What is the age requirement to take the sport pilot knowledge test? Dauntless: We occasionally get asked by young people who are eager to start their training when they should start studying. If you're really sure you're ready to take the test as soon as you reach the relevant birthday, then we generally suggest studying for about three weeks before this date if you can study for an hour or two every other night and pehraps two or three months in advance if you can only study once a week or so. Dauntless: The Sport Pilot certificate has proven itself to be popular with all sorts of people. This includes people who can not qualify for a normal medical certificate (usually due to some known medical condition) or who simply want to take advantage of the lower costs that light sport aircraft can provide. Of course, some light sport aircraft are very expensive and some regular aircraft are relatively inexpensive to operate, though in general light sport aircraft can be thought of as less expensive. This all said, the Sport Pilot certificate should be viewed as seperate from the normal progression of aviation certificates. If you want to fly light sport aircraft, then by all means go for a light sport pilot certificate. However, if you want to fly heavier, faster, and more capable aircraft - either recreationally or as a career, then you probably do NOT want to get a sport pilot certificate, but rather should aim for a Private Pilot Certificate as your first goal. Dauntless: The above restrictions are valid at the time of this writing though are subject to change. To adequately prepare for the knowledge test, the FAA suggests that you review 14 CFR part 61, section 309, for preparing for the sport pilot knowledge test. The regulations require an applicant to have logged ground training from an authorized instructor, or to present evidence of having satisfactorily completed a course of instruction or home-study course in the knowledge areas appropriate to the category and class aircraft for the rating sought. Dauntless: Our software is 100% what you need to prepare for your Sport Pilot test. It covers the items discussed above. After you have completed your study, you can either for example print out a record of your study to show your instructor who can give you the necessary endorsement to take the actual test or you can use our endorsement service where we can mail you the appropriate endorsement. A certificate of graduation from a home-study course developed by the aeronautical enterprise providing the study material. The certificate of graduation must correspond to the FAA knowledge test for the certificate or rating sought. The aeronautical enterprise providing the course of study must also supply a comprehensive knowledge test, which can be scored as evidence that the student has completed the course of study. When the student satisfactorily completes the knowledge test, it is sent to the course provider for scoring by an FAA-Certificated Ground or Flight Instructor. The instructor personally evaluates the test and attests to the student's knowledge of the subjects presented in the course. Upon satisfactory completion, a graduation certificate is sent to the student. Dauntless: as stated in the previous question, we can basically provide the third option above for you if necessary. Please see our instructor endorsement service web page for more detail and pricing about this. About 10% of the users of our software use our endorsement service while others obtain such an endorsement from their instructor. Either way works. Dauntless: In the statistically unlikely event that you do fail, you can take the above mentioned knowledge test report and enter the topic codes into our GroundSchool software. This will then allow you to find and zero in on those questions where you need more work. Dauntless: One of the cool things about our software is that, unlike life-limited books and DVDs, we offer a lifetime personal license. So, even if you get a 100% now through using our software (as many before you have), you can use it later on to brush up on whatever areas you may need a refresher on. Dauntless: and again, if you do need longer than 24 calendar months, for whatever reason, our software will be there for you thanks to our lifetime free personal license policy.